J.72 L6 cyl. 4235 cc 190 bhp wb: 9ft. 1in. 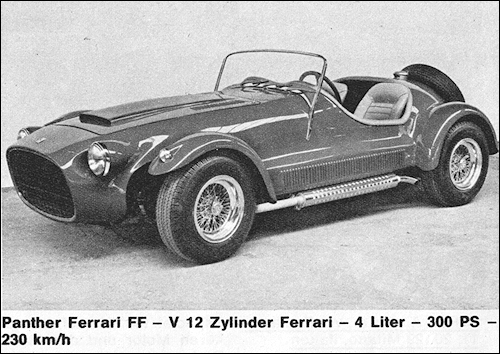 The Panther FF (Felber Ferrari) is a 2-door open roadster sports car powered by a 4.0 L (3967 cc) Ferrari Colombo V12 engine. The body is made of hand beaten aluminum; the upholstery is made of real leather. 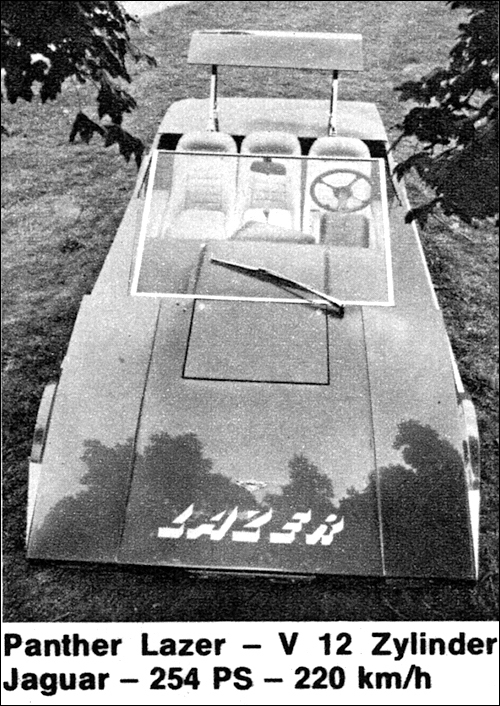 The Lazer is an open roadster sports car seating three-abreast passengers. Only one was ever made. With a wheelbase of 142 inches (3,600 mm), the tubular-framed De Ville uses a straight-six or a V12 Jaguar engine. 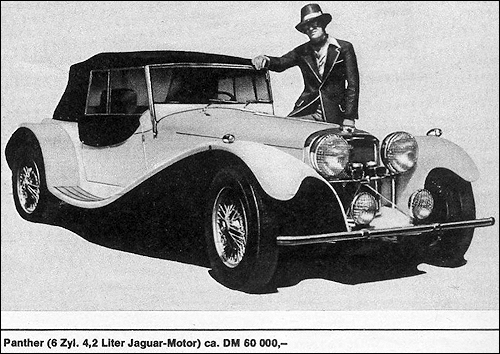 The flowing wing lines and big headlights of the De Ville are styled to imitate the Bugatti Royale. The cockpit of the De Ville was modern, without the exterior's pretense of pre-war styling. 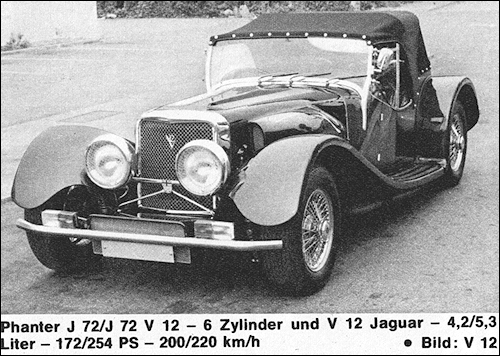 The suspension, power steering and automatic transmission also came from a Jaguar making the car easy to drive. Interiors are lavish. The doors however came from the BMC 1800 family car.